This short-sleeve party dress has an on-trend design that's versatile for many occasions. Jersey-spandex softly accentuates the figure in the stylish semi-formal dress, and a choker collar gives the classy look some spice. 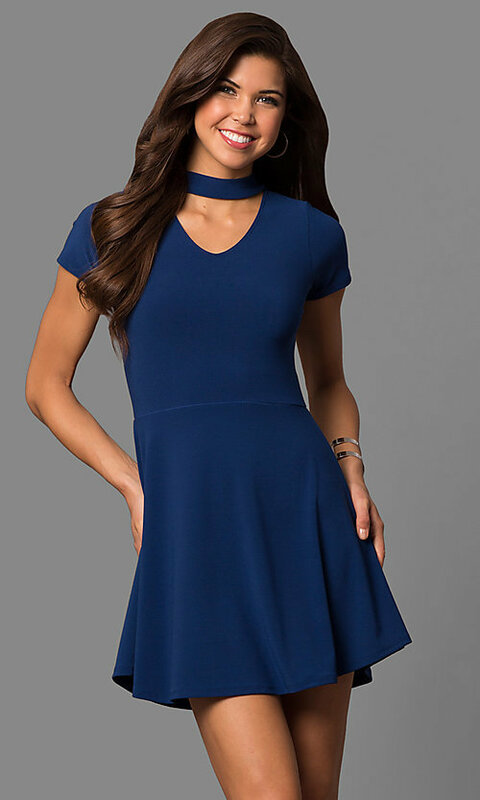 Short sleeves cover the shoulders for a touch of modesty, while a subtle v-neckline provides the flirty appeal you'd want from a little party dress. Finishing the short-sleeve party dress with an extra splash of fun, a circle skirt flows from the natural waistline with a relaxed a-line shape and an irresistible bounce.